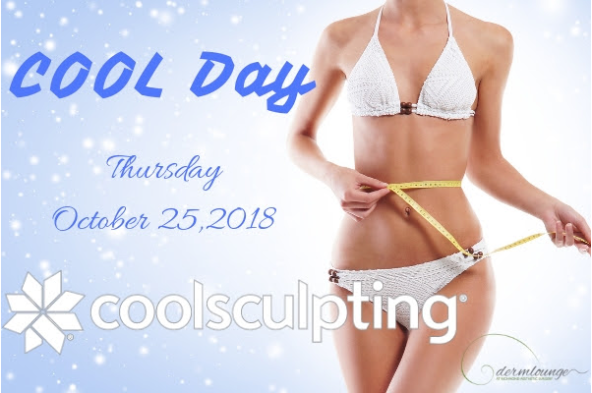 The Dermlounge is having a ‘COOL Day’ Coolsculpting® event on Thursday, October 25th, 2018! A CoolSculpting expert will be on hand to discuss personalized treatments and package options. There is a 25% discount available during the event so take advantage of this special pricing. A $50 deposit is required to reserve your space at the event and can be used toward CoolSculpting treatments. There are a limited number of spots available so contact us today to reserve your spot!